Why is it that Winter is so long and Summer just flies by? I guess that's one of the reasons why I dream about living in Hawaii. It's always summer there. It's a dream that I'm not sure will ever happen and I'm wondering if I might have to do it alone. We're in the early stages of searching for a new place to call home. Maybe in two years (hopefully sooner), but I'm a planner and love to research different places, finding the pros and cons. Weather is number one with me, so that definitely narrows our choices down a lot. Cost of living is a big one too. Lately, I've been thinking about Oregon as an option. It's got the art scene, paintable beauty (for inspiration), lots of GF and organic places, and a moderate real estate market. It does get a lot of rain, but is pretty mild and that keeps everything lush. I think my autoimmune problems have made it hard to tolerate extreme weather, so I'm looking for a place that's not too hot and not too cold, but juuuuust right. The hunt is on! 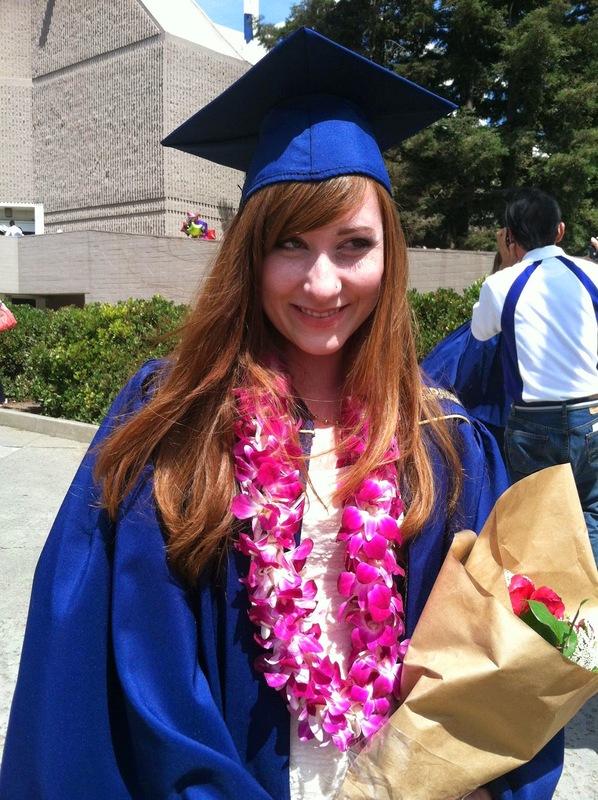 I've been busy working on some commissions (very large ones), but took a very quick 2 day trip a few weeks ago to see my beautiful daughter graduate from college! It was the best day ever! I am so proud of my little girl! She's overcome a lot of obstacles and worked so hard to earn her B.S. degree in Psychology. She wants to help people. I'm just so proud! Congrats to your daughter, and I like both of those deck / retreats photos. Oh Jennifer! What wonderful news about your daughter. That is a huge accomplishment. Congratulations to both of you!Wowsers. And now on to the Master's Degree. Good for her. 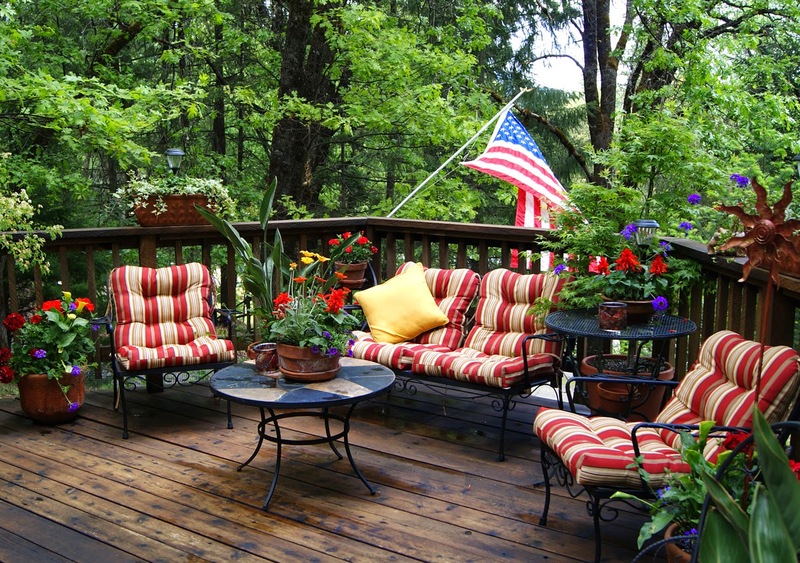 The deck looks comfy and serene. Thanks Susan! It's way more than I've accomplished already and she's only 21! Super proud and happy! Congratulations to your daughter. 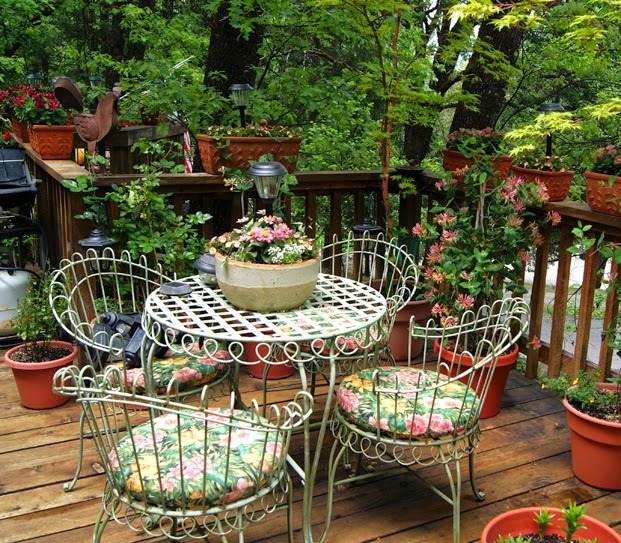 LOVE your mother's deck spaces.